As the heart of the global gaming scene, Gamescom is one of the greatest opportunities to celebrate our games as well as meet with other players. Wargaming will showcase the very best of their games and if you are looking for a very special show, our booth will once again be the place to be. Attention! Wargaming is not the organizer of this event. All responsibility for the accuracy of information about the event, its preparation and conduct lies with the organizer. The organizer is also independently responsible for any violations of the law in connection with the event, as well as for possible losses in case of its cancellation, rescheduling or change of the program. During the event, there will be photo and video recording. By participating in the event, you agree to being recorded, as well as to the further use of your likeness by the Wargaming Group Limited company, including disclosure, reproduction, sale and other usage, public display, import for distribution, rental, air or cable broadcasting, processing, communicating, and publishing for public information (including via the Internet) of works in which your likeness is used. These rights are valid without a limitation in time and on the territory of the whole world. 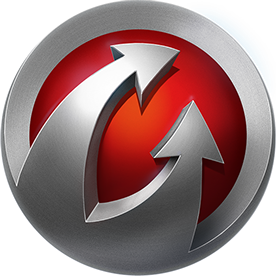 Wargaming is also entitled to transfer all of these rights to third parties for the purpose of advertising and promoting Wargaming products and services.